Kluber (2-2) struck out eight and picked up the win in the first game of Saturday's doubleheader against Atlanta, allowing four runs on five hits and two walks over seven innings in an 8-4 victory. For the second straight outing, Kluber served up two homers, but this time he got plenty of run support to compensate. The right-hander has a disappointing 5.88 ERA, but his 29:12 K:BB through 26 innings offers plenty of hope for a turnaround. Kluber will look to win his third straight decision Thursday in Houston in a showdown with Gerrit Cole. Kluber won't start Friday against the Braves as the game was postponed due to weather. The game will be made up via a traditional doubleheader Saturday. Kluber will presumably just have to wait an extra day for his next start with rain expected to fall through most of the afternoon and evening in Cleveland on Friday. 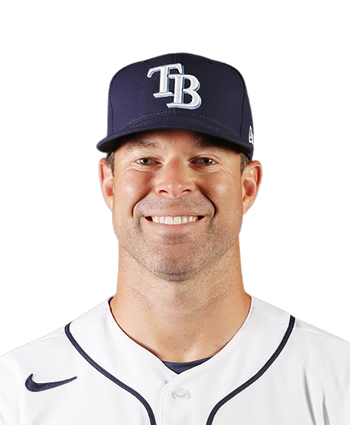 The 33-year-old is coming off a poor performance against the Royals in which he allowed six runs on six hits and five walks over 2.2 innings. 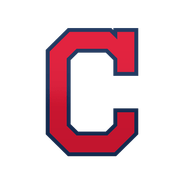 Kluber allowed six runs on six hits and five walks while striking out four across 2.2 innings during a no-decision against the Royals on Sunday. Both starters in this one struggled, so despite the short outing, Kluber avoided another loss. However, he's failed to pitch four innings and given up at least four earned runs and three walks in two of his last three outings. That's the main reason why Kluber owns a 6.16 ERA and 1.84 WHIP through four starts. He is also 1-2 with 21 strikeouts in 19 innings. Kluber will look to get back on track against the Braves at home Saturday. Kluber (1-2) allowed two runs (one earned) on seven hits and one walk over six innings while recording the win over the Tigers on Tuesday. He struck out eight. Kluber permitted just one extra-base hit, a fifth-inning RBI double by Miguel Cabrera. He also was nicked for a first-inning unearned run on two singles and an error. The 32-year-old has a 3.86 ERA and 1.47 WHIP this season, and his next scheduled start is Sunday on the road against the Royals. Kluber (0-2) allowed six runs (four earned) on eight hits while striking out four and walking three across 3.1 innings in a loss to the White Sox on Wednesday. The Indians' ace wasn't himself, as he couldn't find the strike zone most of the afternoon. Poor infield defense didn't help either; with the help of an error, the White Sox tagged Kluber for three runs in the opening frame. Chicago first baseman Jose Abreu, who has always done well against Kluber, then drove in three more runs with hits in the second and fourth innings. Kluber came into the afternoon with a 13-4 record and 2.80 ERA in his career against the White Sox, so this was quite a disappointing outing. He's opened the season 0-2 with a 5.23 ERA, 1.55 WHIP and nine strikeouts in 10.1 innings. Up next is a road start in Detroit.